New York, NY (Top40 Charts / Company) 14 years since their last studio album release, A Perfect Circle return to the charts worldwide with their fourth full-length studio album Eat The Elephant, released April 20 via BMG. Eat The Elephant debuts at Number One on the Rock, Alternative, Independent, and Vinyl albums charts, and number three on the Billboard 200 with over 68k cumulative units in the US. Fueled by the singles 'The Doomed', 'Disillusioned', 'Talk Talk', and 'So Long, And Thanks For All The Fish', the album debuts Top 5 on charts around the world including number two in Germany, Australia, Austria, and Switzerland, number three in Canada and New Zealand, and number five in Mexico. Global Top 10 debuts include number six in Belgium and Finland, number seven in Italy, and number eight in Norway, with Top 20 chart positions in the UK, Netherlands, Holland, Ireland, and Sweden. A Perfect Circle's success follows the Number One debut of Jason Aldean's new album Rearview Town, released just the previous chart week on April 13 via Broken Bow/BMG. 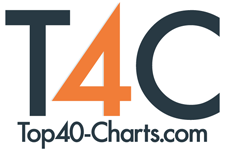 The album currently sits atop the Country Albums chart, number two Independent Albums, and number five on the Billboard 200. This week, the album's lead single 'You Make It Easy' jumps to Number One on the Country Airplay chart. Zach Katz, President, Repertoire & Marketing, BMG US, said, "After 14 years, A Perfect Circle once again carry the torch - asserting themselves as the Number One rock band in the country - that speaks volumes. Delivering this high level of success in the US and around the world is a great accomplishment and adds yet another milestone for our recorded teams. It not only echoes but personifies our commitment to artists as a truly global music company."